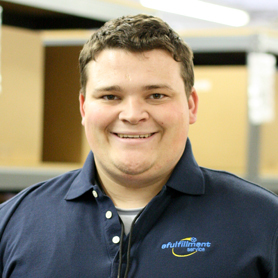 For online merchants that need more than just order fulfillment services, we have you covered. Together, we’ll craft a returns policy that works for your business. We print your custom return instructions on every packing list inserted with your orders. Instructions are easily updated in our web-based system to reflect your policy changes. Our experienced Returns Team carefully inspects and sorts each returned item based on its condition and promptly notifies you by email. Pending your response, we hold intact merchandise before returning it to inventory, and we will store damaged merchandise separately before discarding it or shipping it back to you, according to your preference. When it comes to order fulfillment, kitting can save you money. Product kitting is the process of bundling of individual items into ready-to-ship packages. And when you need kitting or light assembly work to create a completed product or package, we can help. Our services range from simple collating to multi-component product assembly. Curious if your products are right for kitting? We can help with that, too. Simply click here to request a quote, and we’ll be in touch to see if kitting makes sense for you. With our experienced in-house technology team, we are able to handle custom IT-related projects that other product fulfillment houses cannot. Our shopping cart integrations currently include over 30 of the most popular carts and eCommerce selling platforms, allowing for fast and easy processing of your orders. If you have a cart that’s not on our list, please let us know, and we will contact that shopping cart provider. In addition to the services outlined above, eFulfillment Service has a range of fulfillment partners that can assist merchants in a number of other areas, from call centers, to freight companies, to brokerage services.